About Best for Less Siding, Inc.
Best for Less Siding, a family owned and operated company, has been siding homes and commercial buildings in Oregon since 1988. Owner Jack Course got his start in construction when a neighbor hired him to help out in a residential siding business. Jack picked up valuable hands-on experience, earned his own general contractor's license, and eventually opened his own company. With 25 years of experience under its tool belt today, Best for Less Siding, Inc. has built a great reputation based on knowledge and experience— just ask the happy customers! 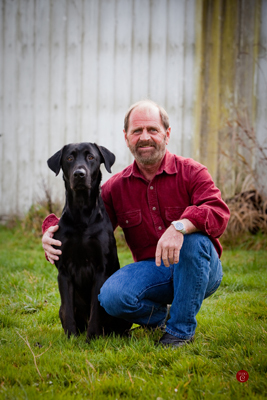 In his spare time, Jack enjoys spending time with his grown kids, and takes his grandchildren camping, fishing, and hunting in central Oregon. Jack Course, owner of Best for Less Siding, Inc.